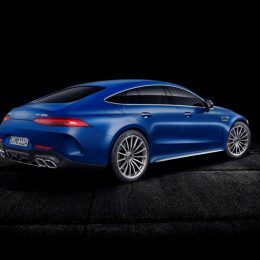 The GT 63 uses AMG’s hand-built 4.0-litre V8 ‘hot V’ biturbo petrol engine, which generates 585 hp and 800 Nm torque. 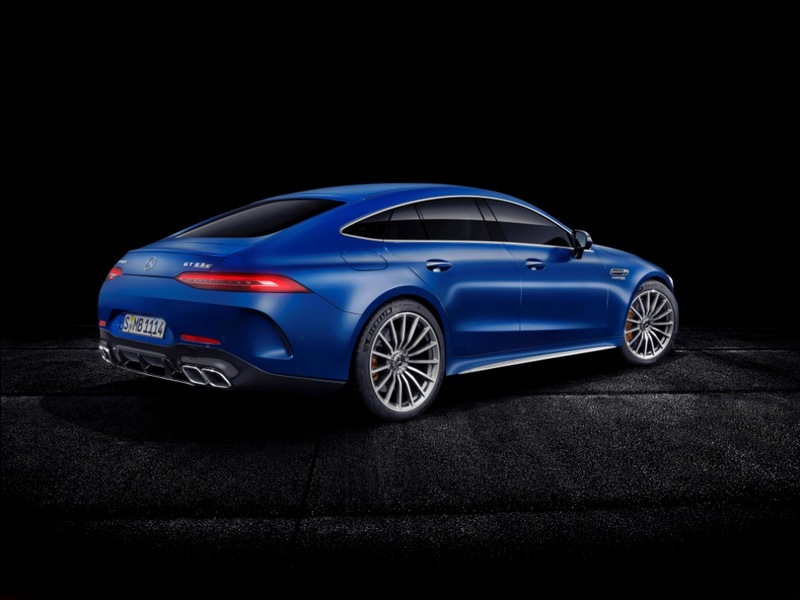 The GT 63 S delivers 639 hp and maximum torque of 900 Nm. 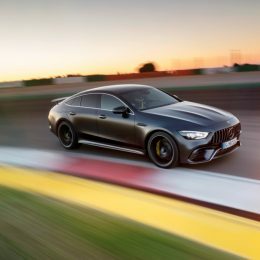 The GT 63 can achieve 0 to 62 mph in 3.4 seconds, while the GT 63 S takes just 3.2 seconds. 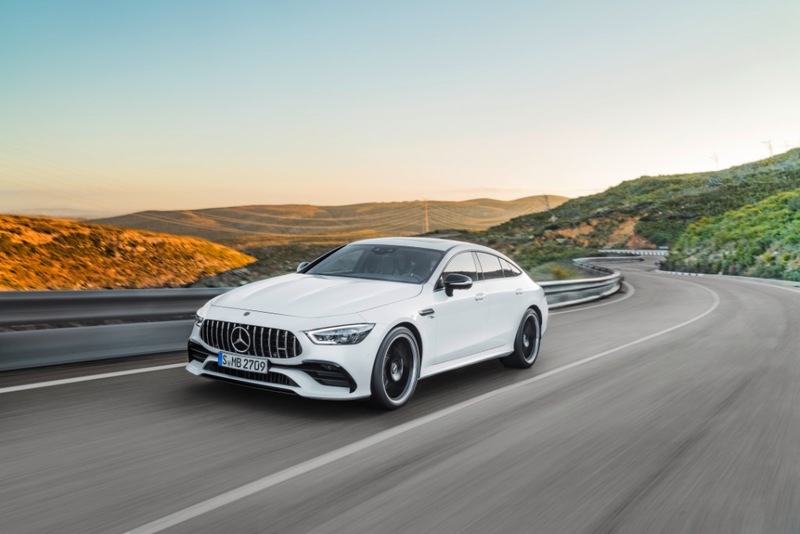 The GT 63 delivers a combined fuel consumption of 25.2 mpg and emits 256 g/km of CO2, while the GT 63 S delivers 25.0 mpg and emits 257 g/km of CO2. 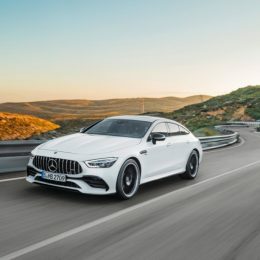 All three versions come as standard with an AMG Speedshift MCT 9G transmission, which has a wet start-off clutch – this reduces weight and optimises responses. 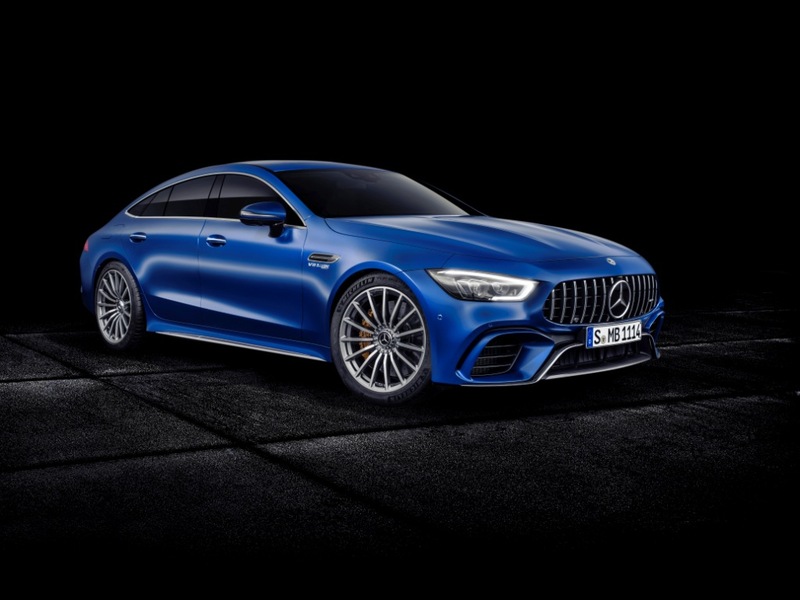 Standard equipment on the GT 63 includes 20-inch AMG 5-double-spoke light- alloy wheels; Multibeam LED Intelligent headlights; parking package and 360° camera; 12.3-inch infotainment and cockpit display, creating a widescreen effect; ambient lighting with a choice of 64 colours; heated front and rear seats; Comand Online infotainment system; AMG Track Pace; wireless charging; Keyless-Go Comfort package, including keyless start and hands-free access, and fully automatic opening and closing of boot lid; Burmester surround sound system; and AMG Performance steering wheel in Nappa leather. 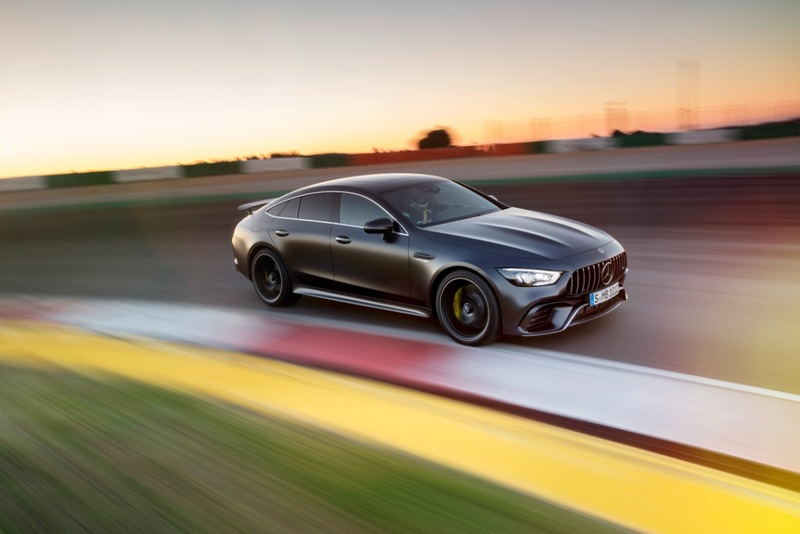 The GT 63 S adds the AMG Dynamic Plus package, which includes electronic rear-axle differential lock, ‘RACE’ drive mode including ‘Drift-Mode’, larger front brake discs and yellow painted AMG brake calipers; 20-inch AMG mutli- spoke alloy wheels; an AMG Performance steering wheel, upholstered in Dinamica microfibre, comes as standard. 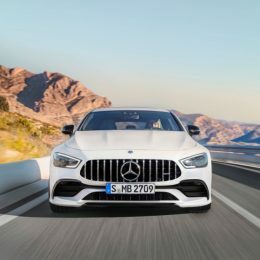 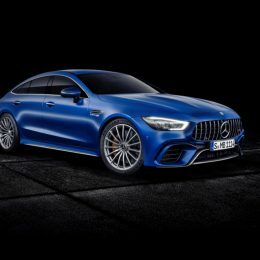 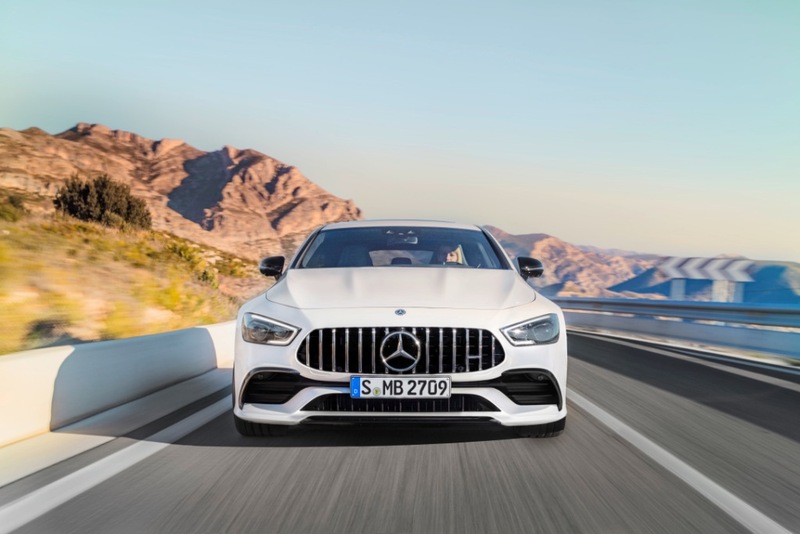 The limited edition AMG GT 63 S Edition 1 comes as standard with Graphite Grey magno paint; 21-inch cross-spoke forged wheels with black inserts; an Aerodynamics package, including a fixed rear aerofoil in high-gloss black and optimised front apron with a front splitter; Premium Plus package; AMG Carbon Matte trim; AMG Nappa leather Magma grey seats with yellow contrast stitching; black Dinamica headlining; Memory package; Air Balance; and AMG Night package. 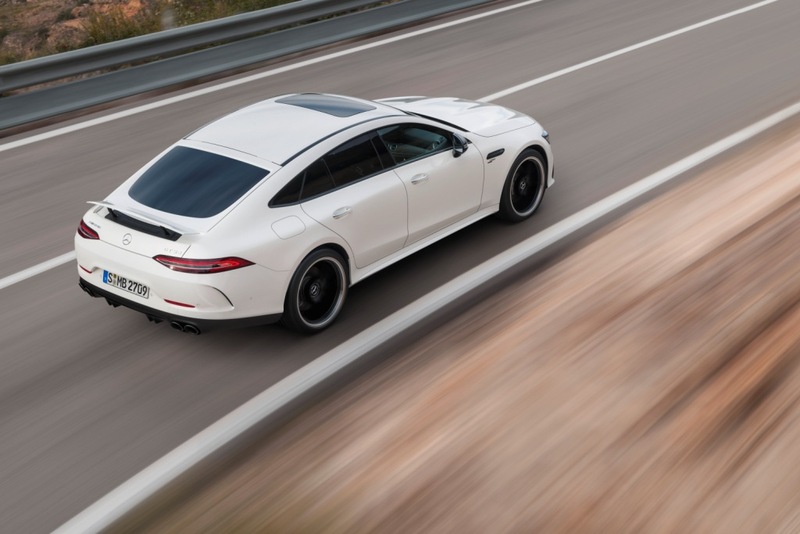 The £3,600 Premium Plus package – standard on the GT 63 S Edition 1 – adds Air Balance package; ENERGIZING Comfort; active multicontour seats with massage function; head-up display; soft door close; and climatised front seats. 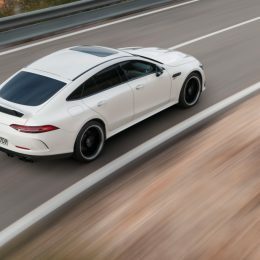 For £3,695, customers can opt for the Rear Luxury Lounge package which includes individual rear seats, centre console and touch-screen centre display with infotainment function access; Thermotronic automatic climate control; pre-installation for a tablet PC; wireless phone charging for rear passengers; climatised cup holders.